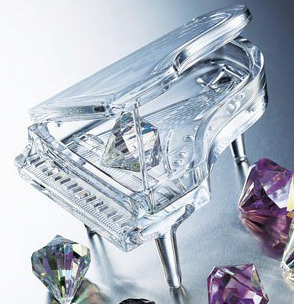 like the Crystal Jazz Piano. 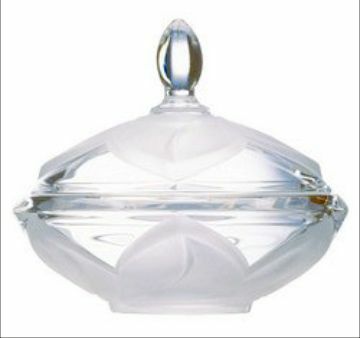 The trinket boxes and candy jars that can be personalized for that special someone. These are just a few of the trinket boxes that we have for you to choose from. 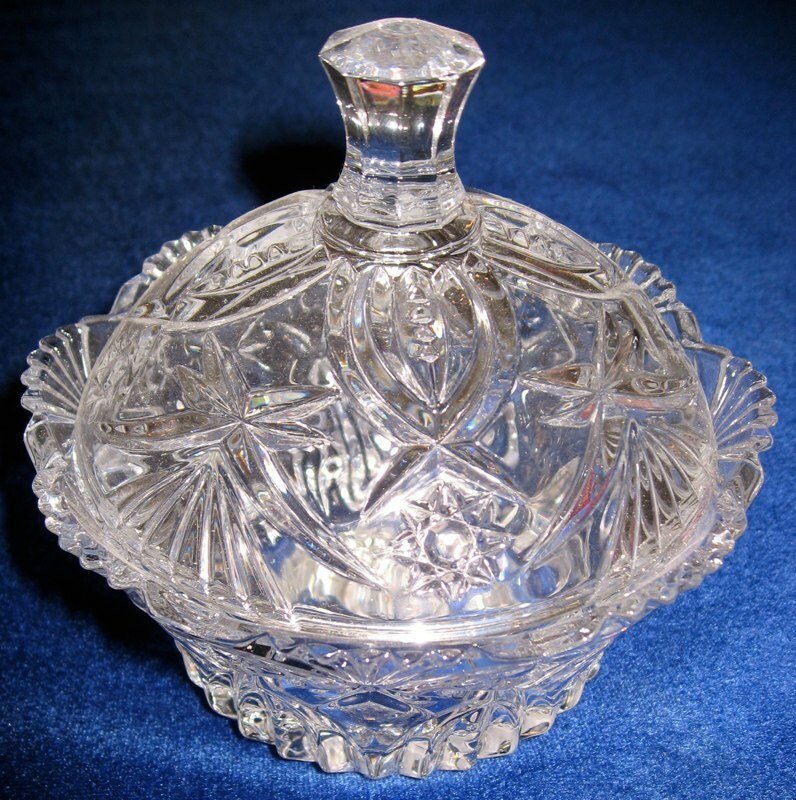 The engravable crystal heart trinket box is one of my favorites. Our trinket boxes can be engraved with initials or with just a name. 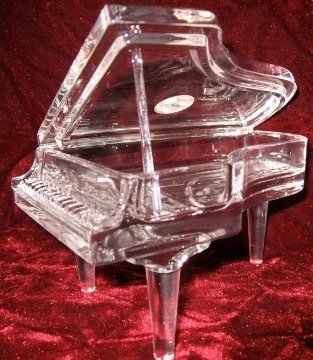 Some are glass and others are crystal. Yes, we can engrave them with logos too. We can customize these how you have in mind. 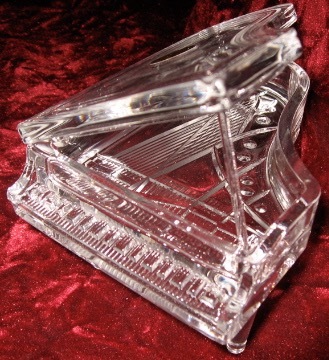 Your engraving will be engraved in-house by Jeff Sowers and Sherrie Sowers, experienced engravers. 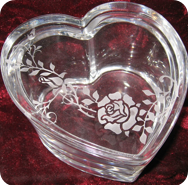 We also offer 1000s of designs that can be engraved, for an additional charge, along with text, to our personalized engraved trinket boxes. You may also have your company logo or your custom design engraved. 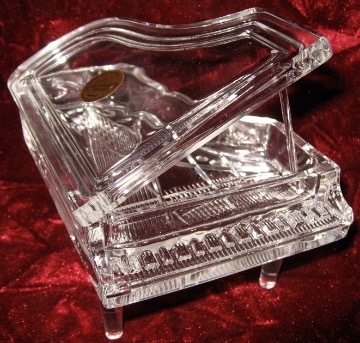 Personalized Custom Engraved Crystal Piano Shaped Trinket Box $45 engraved with a name. 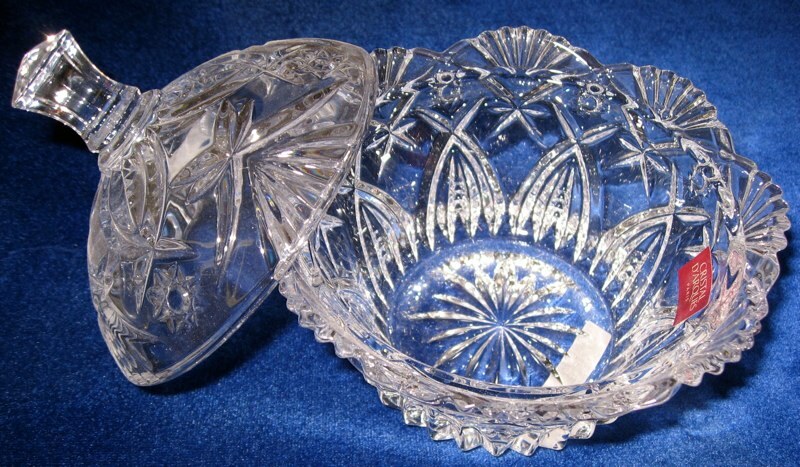 This is 24% lead crystal. 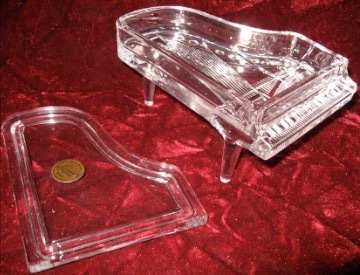 The box is 3 inches tall, 3 7/8 inches wide and 5 1/4 front to back. Thank you for your business Engraving takes two to three days (Monday - Saturday) to complete - this does not include shipping time, shipping time is one day would be over night shipping, 2 to 4 days is usps priority mail, and ten days would be regular ground shipping after the order is completed. If there are any delays, we will contact you by e-mail.